We are now Buying and Selling Reconditioned RF Welders! 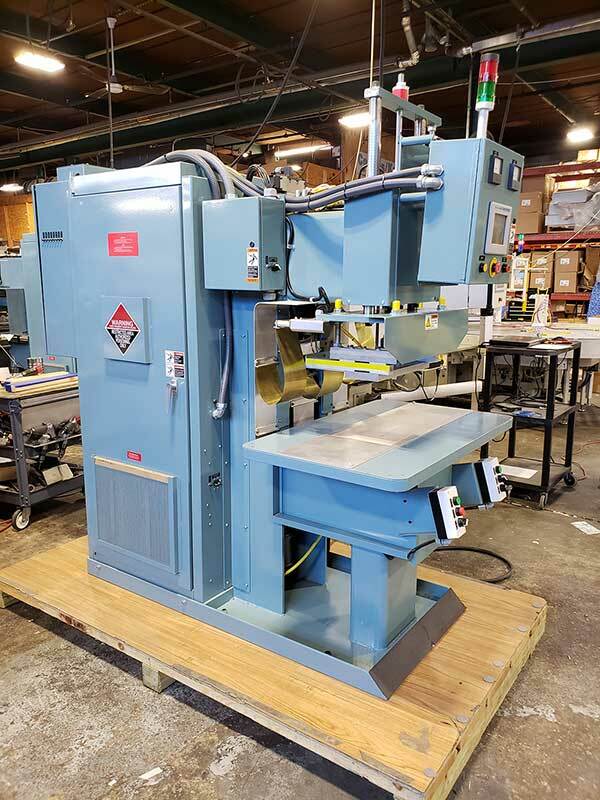 In addition to new standard and custom equipment, Cosmos and Kabar are now offering attractive trade in allowances for existing equipment with the purchase of a new RF welder. We are also interested in purchasing RF Welding equipment that is no longer needed. These machines will be completely refurbished and offered to our customers at huge discounts. All equipment is evaluated and restored to top working condition. Worn components and obsolete parts are replaced. Equipment is fully tested with customers’ materials and tooling prior to shipment. Acceptance of refurbished equipment before shipment. Free phone support for the life of the equipment. Please call us at (631) 694-6857, email us at info@cosmos-kabar.com or click here to fill out our webform for more information.